The scientists use old-fashion hard-work to collect that marine debris to count all of the items in the survey area. Credit: Jace Tunnell.Ecologists with the Mission-Aransas National Estuarine Research Reserve recently received a $51,000 grant from the National Oceanic and Atmospheric Administration to track marine debris on our Coastal Bend beaches for two years. The scientists will be measuring the amounts and frequency of the trash. They will also determine how much of the debris contains evidence of turtle bites, and if visitor frequency and access have any impact on accumulation rates or composition of the debris. 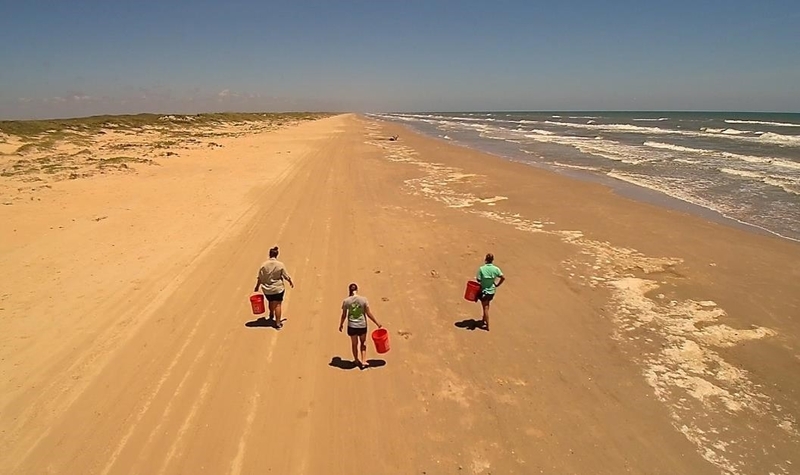 In order to collect significant amounts of data, they will start surveying four local shorelines monthly: Padre Island National Seashore, Fish Pass on Mustang Island Gulf Beach, San José Island Gulf Beach, and Lighthouse Lakes in Redfish Bay. They will use both traditional methods and new technologies to count and sort the debris for one of these designated areas. On average, 500 tons of marine debris are removed from Texas beaches each year. The goal of the project is to better understand when and where marine debris impacts our beaches so that policy makers and resource managers can focus their resources toward solutions to this widespread and often times damaging problem. Marine debris can lead to numerous adverse environmental, aesthetic, and economic impacts. Detrimental effects on marine life can range from death or injury to chemical accumulation and pollution. All five species of sea turtles found off the coast of Texas, have been known to ingest plastic and other trash. Marine debris can leach harmful chemicals into the environment, many of which concentrate in the fat deposits of animals, where they can remain for a long time. These concentrations have been observed to have effects on reproduction, growth, and behavior. Marine debris also has negative impacts on the economy, recreation and tourism. Visitors want a clean and safe beach. Commercially important species, such as blue crabs, sea trout, flounder, and red and black drum can be fatally caught or entangled in abandoned crab traps and fishing nets. Boaters can feel the impact when their boats hit floating or submerged debris, a rope gets caught in a propeller, or a plastic bag blocks the water intake on the motor. Many coastal communities spend thousands of dollars cleaning trash off beaches and marine debris within their jurisdiction. This study, through analysis, will provide much needed information on source, timing, and impacts of marine debris. 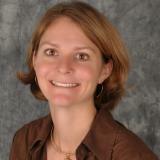 Lead scientist, Katie Swanson, records data during a trial survey to perfect the sample design. Debris larger than 2.5 cm will be brought back to the laboratory and sorted by type and weighed. Credit: Jace Tunnell.